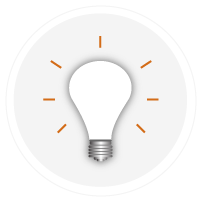 Identify currency, turn your mobile into a magnifier, detect light intensity – a simple tap on your mobile. A toolkit of solutions assisting blind and visually impaired people to live independently! Continuing our experiment with designing new ways to bring assistive technologies to the public, we introduce you to the 6 by 6 app that has been specially designed for people with low vision and people who are blind. 6 by 6 not only identifies the currency for you but can also be used as a light detector. 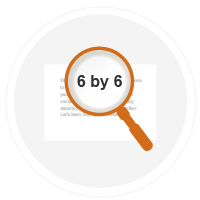 In addition, you can also use the magnifier feature to magnify any text that you would like to read. 6 by 6 consist of 3 tools currently, currency detector, light detector and magnifier. Keeping the Indian audience in mind, we have developed for Android first. Do you want to know whether you have a 500, 2000 or a 50 rupee note in your hand? Well here is the solution! Use the Currency Detector. The currency detector identifies the currency for you and speaks out the denomination easily identifying various currency. The app currently supports Indian Rupee. Hold the Currency between 5-6 inches from the phone. Place the Currency on an even surface or in a straight position in your palm. Tap on the screen to get an accurate prediction. 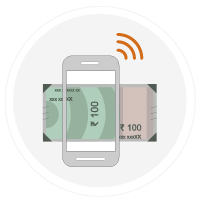 Note: We have trained lakhs of currency notes to increase the accuracy of the app! But it might, at times give you an inaccurate result! Do send us that feedback, so we can improve the experience for you. Send us your feedback. Do you want to know whether the light is on in the room or not? Do you want to know if you are near the light bulb? Use the Light Detector. The light detector feature helps you identify the intensity of light around you with a single tap on your mobile. Select Tap on the screen and it will identify the intensity of light around you. The phone also vibrates when you are very close to the light source. Ensure that you do not cover the proximity sensor located at the top of your device (near the front camera). Having problems reading that menu at a restaurant? Don’t worry, now 6 by 6 turns your mobile phone into a Magnifier! To use the Magnifier, you can zoom in and magnify by just increasing or decreasing the slider. To freeze the camera, tap on the button which says ‘Freeze’. This will give you a snapshot image of the currently focused camera output. Once you’re done and need to go back to the live camera output, click on the button 'Live'. 3 in 1 solution for people with visual impairment!